With deep sea minerals and sea kelp extract, this purifying cleanser cleans deep to effectively wash away daily build-up—like dirt, oil and impurities deep in pores. So effective, this foaming cleanser even washes away dirt and oil you can’t see while calming aromas help wind you down—leaving you clean and relaxed. Oil-free. Won’t clog pores. Won’t over dry. Pump some cleanser onto wet palms. Gently massage the cleanser all over your face, avoiding the eye area. Rinse your face thoroughly and pat it dry with a towel. Water (eau), Sodium Laureth Sulfate, Glycerin, Acrylates Copolymer, Cocamidopropyl Betaine, Phenoxyethanol, Caprylyl Glycol, Sodium Hydroxide, Parfum, Disodium EDTA, Citric Acid, Sea Salt (Sel marin), Methylparaben, Propylparaben, Laminaria Saccharina Extract, Ethylparaben. This stuff dried out my skin like crazy. It also stings when I put it on. It works great and did everything I wanted it too but it hurts. Give us a call so we can learn more about this! Give us a call at 1-877-754-6411 Mon-Fri, 9am-530pm ET. Hope to hear from you soon! I read reviews before buying this product and noticed people thought it was drying. I agree but since I have oily skin it hasn’t been an issue and I moisturize after use. I like it as a facial cleanser but it has also unexpectedly made a good difference in terms of acne on my body. Would recommend to people with oily skin. Oh no, we're so sorry to hear this! We'd really like to learn more about what happened and see what we can do to help. Please give us a call at 1-877-754-6411 from 9AM - 5:30PM ET, Monday through Friday. Thank you! I have been using this product for about a month now and it is pretty good. I struggle with acne , oily ness,and dryness during the winter. But this helps balance it all out ,but doesn’t really calm you down for bed( it’s 10:31 on Tuesday). 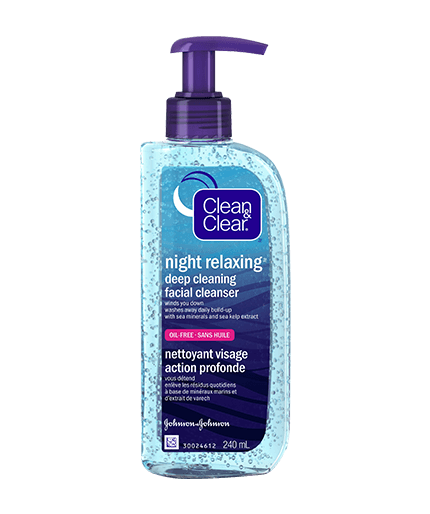 It also doesn’t prevent acne, just about the first week, but is a really good cleanser. I would recommend this. My routine is strict and simple. First I cleanse with the morning moisturizing cleanser in the shower, then once out, I tone with deep cleaning astringent and then moisturize with a gel moisturizer. At night, I remove my makeup with water, use this product, then follow the last two steps in my morning routine. This product calms me down and prepares my face for sleeping. Never flaky, or too oily. It worked for the first 2 days that I used it, but today my skin has starting flaking and it hurts to touch my face. I put moisturizer on and it still stings to touch. I tried this product two days in a row and my face became red and flaky. I have strawberry blond hair and fair skin and I would definitely not recommend this product for fair or sensitive skin. We're sorry to hear about your experience, Mogie. We wouldn't expect your face to become red and flaky while using our product, and we'd like to learn more about your experience. Please give us a call at 1-877-754-6411 Monday-Friday between 9am-7pm ET. We look forward to speaking with you. We're very sorry to hear about your experience with our product, Sky. We'd like to gather some information about the product you used and about what happened since this is not typical. Please call our consumer care center at 1-877-754-6411. Our specialists are available Monday-Friday 8AM-8PM ET. We're looking forward to speaking with you.